This is from the cover of the resource suggested to me by Ben Baptiste. Ben Baptiste practiced close reading with his students this week and invited me into his classroom. It was a good experience for us both to become more familiar with the process, and I am looking forward to trying it again next week with Jillian Walters. 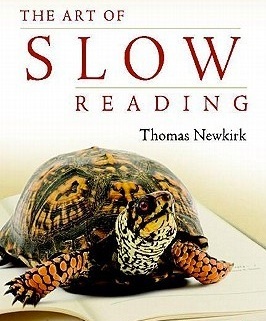 A couple of things he and I determined through the experience were that it seemed important for the reading to be fairly short given the number of readings and that peer sharing lead to better responses. 6. Third Reading students answer text-dependent questions in pairs or individually and share out answers. This could also be split into an additional fourth reading following the same process as the third. If split up this way, maybe the first set of questions would be lower-level comprehension questions and the second set might be higher level analytical or inference questions. Inference and other types of higher level thinking questions were a strength of Ben’s. In particular, he asked a great question about the effect of the author’s use of the “dash” in the article which sparked an interesting conversation about punctuation for effect in writing between the two of us.